Be prepared for it to rain any day. Always a good idea to back a light jacket in case there are a few clouds. 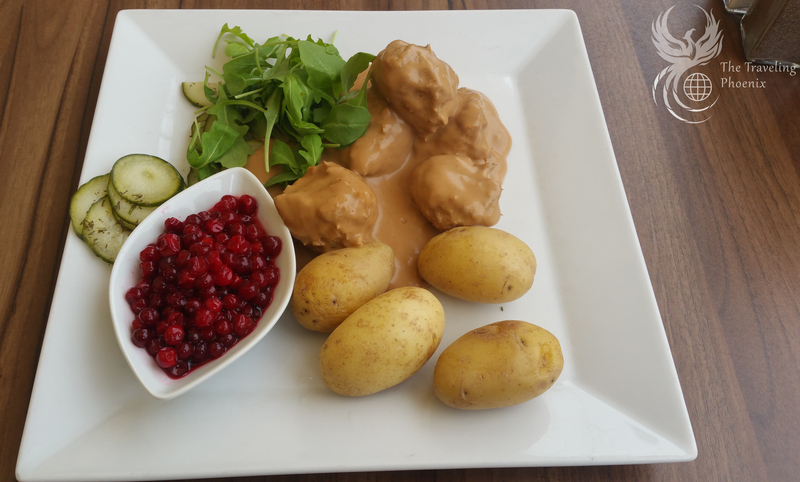 Try the Swedish meatballs. Oh so good! Swedish meatballs! I must try to recreate this at home. 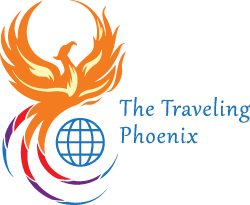 Double check and triple check you have your passport when traveling across borders. With the sun rising before 5 AM, my husband and I woke up early in Copenhagen. 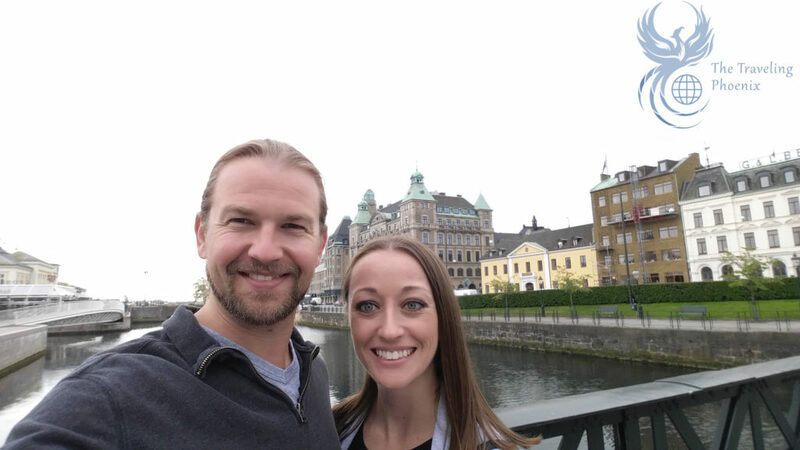 Eager to start the day, we got ready and headed to the train station to start our day exploring Malmö, Sweden. We headed to the airport where their train station is also located. By the time we got there, it was about 7:45 AM when we bought our tickets. We got on the train to head into Malmö. 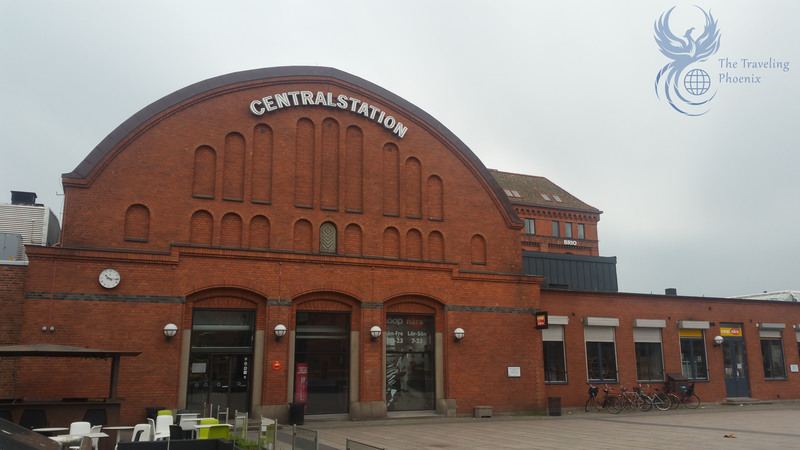 The train departed the station which is at the Copenhagen Airport and travels across the water to first stop at the Hyllie Station. About 30 minutes outside from the station. Over the intercom we hear and announcement to have our ID or Passport ready. I look in my purse, shoot, no Passports. We forgot them at the Copenhagen apartment. Trying to stay calm, we thought “It’s going to be OK, we have our driver’s license”. The intercom did say IDs or passports. Border security comes onto the train and starts asking for identification. We hand over our Arizona state driver’s licenses. The lady looked at us and asked if we had our passports. Embarrassed, I reply, no, we forgot them at our apartment in Copenhagen. So, what happens next? My husband and I are kindly escorted off the train. Standing outside we wait while they do the paperwork. Now, I am getting nervous thinking we might have issues getting back into Denmark. Trying to keep my cool and just stand there waiting. The two border control officers walk over, go over a piece of paper that says we were officially denied entry into Sweden. I ask, “if we get our passports, can we come back”? She replied “oh yes, that is fine”. Then I ask the question I am afraid to hear the answer too, “will we have any issues getting back into Denmark?” thinking we are going to be stuck in limbo never being able to get back to get our passports. She said, “you won’t have any issues”. WHEW. Still feeling like idiots, we were escorted to the train back to Denmark. Thank goodness the apartment was only a few stops on the Metro from the Copenhagen train station. We made it back to our apartment by 9:30 AM. Grabbing our passports, we turned right back around to go to Malmö… again. This time we were prepared. Waiting at the Hyllie station, anticipating our border control officer lady to come into our car to show her we really are not as stupid as we seem and show her our passports. We wait… wait a little more… and a little more. Next thing you know, we are moving. “You have got to be kidding me!” no passport check. My husband and I have a good laugh and get off after two more stops for Malmö. I really wish we saw the lady who escorted us off the train and back to one for Denmark to take a selfie with her. I also would like to thank the border control ladies for pulling us off the train and delaying our arrival to Malmö. Originally, we were planning on getting there by 9 AM. However, nothing opened until 11 AM. So we would have just been wandering around trying to figure out what to do until things opened. Sweden is no longer allowing passport free travel between European Union countries. This was new as of January 2017. So, if you are going to be traveling to Sweden from an EU country. Double check you have your passports. Don’t make the same mistake my husband and I did and forget to bring them. Now that we made it into Malmö at about 10:30 AM, and I guess technically illegally since our passports and tickets were never checked the second time. 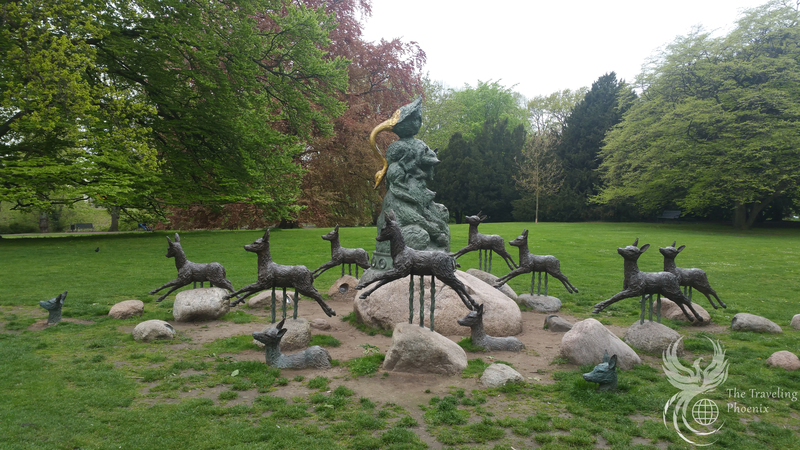 Malmö is pretty small so we only had a few things on our list to see. 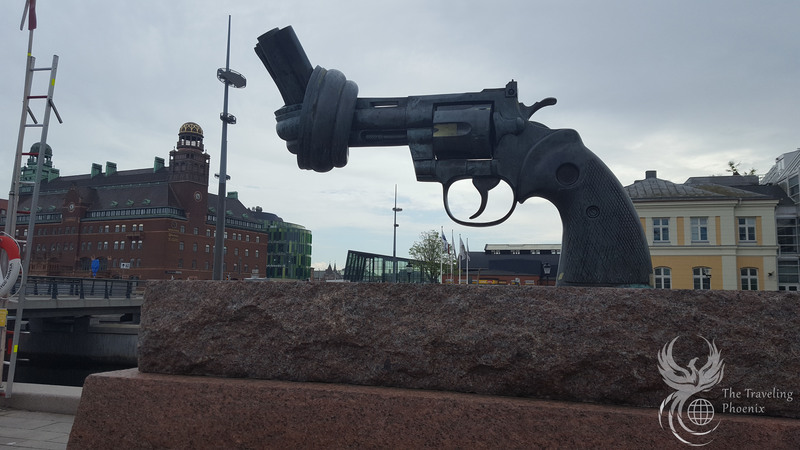 First we stopped at the Knotted Gun that represents non-violence which was created in the 1980s. We then strolled around the old city center Lilla Torg Kristianstad until we made our way to Slottsträdgården Malmö and eventually to Malmö Castle. 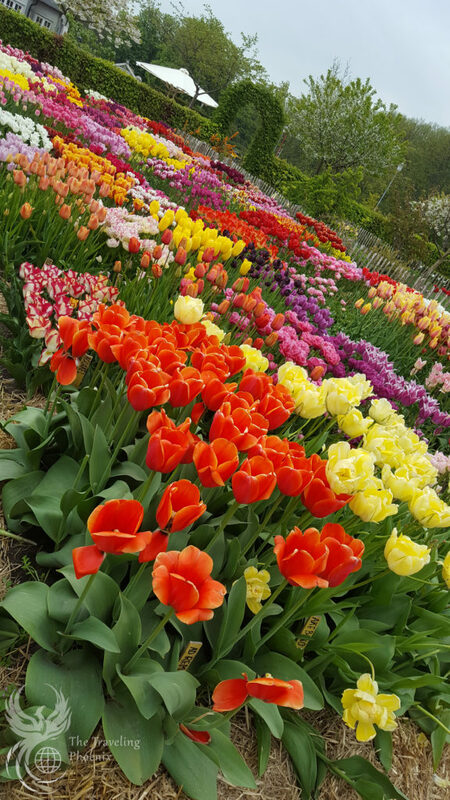 The Slottsträdgården Malmö was a beautiful park with tulips in bloom. There were so many different kinds, it was so beautiful and made me smile. Being from Phoenix and living in the desert you don’t get to enjoy those types of flowers so it was a real treat. Plus, there was even a cute little windmill! Such a bonus. 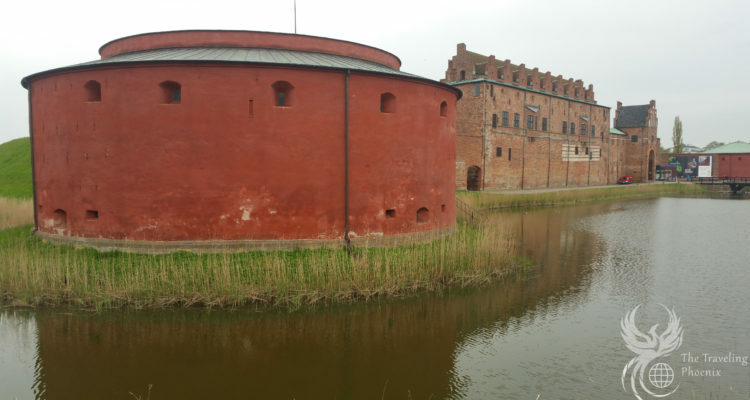 The Malmö Castle is right in the same area. Not the most pleasing to the eye but interesting history. The castle was built in 1434 by the king of Denmark, Erik av Pommern. The Danish King Christian III expanded the castle and made it into more of a military fortress in the 1530s. 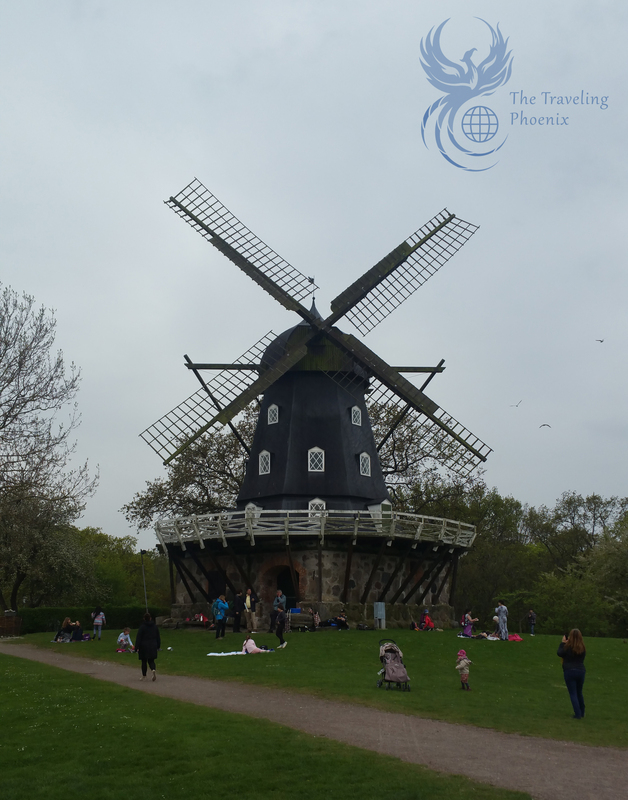 In the 1650s, Malmö was now under the Swedish crown and become one of the most important military points for Sweden. We spent enough time at the park and caster and now places were finally open. First, lunch! We stopped at Victor’s at Lilla Torg Kristianstad. I decided to have salmon in a butter sauce. Who doesn’t like things prepared in butter?! My husband had Swedish Meatballs. So. Good. Both dishes were delicious. I am now trying to perfect the Swedish meatball. We love to try local micro-breweries so we checked out Bulls n Barrels. They had some great IPAs. 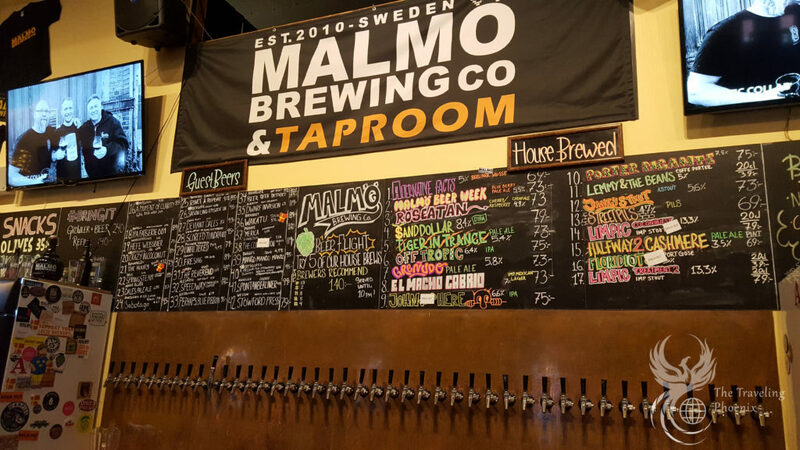 Next we stopped at the Malmö Brewing Co and Taproom. Also some great beers. We were a little hungry so decided to order the bacon cheese meatloaf. To our surprise we received a burger and not a traditional American style meatloaf we are accustomed to being from the states. On our way back we had grand plans to make our way to Christiania… However, we were literally falling asleep at the table so made our way back to our flat in Malmö. The train station, you can see a sign for Brio The company who makes the little wooden trains.